When I was in 4th grade, I had a traumatic experience with a Math teacher that left me very insecure with anything ”numbers.” My system automatically shuts down even in the simplest of situations that would require Mathematical solutions, and I have learned to use humor to avoid it. Teaching Math to my kids is one of my biggest worries in homeschooling. When we decided to try Saxon Math on our eldest son when he was 9, I asked my husband, Jay, to take over. When it comes to other subjects, I’m confident that my children can advance even on their own. All they need to learn is read and research. In homeschooling, we believe that kids can learn from researching about Math themselves, but I think that establishing good foundations and skills gives them the edge to really be confident with it. We are so excited to have our 9-year old, Lukas, try out ALOHA Mental Arithmetic in Greenhills this coming September. ALOHA stands for Abacus Learning of Higher Arithmetic, so basically, the tool that will be used in training him in this method is the Abacus. As most people know, the Chinese had been using the Abacus for centuries. ALOHA Mental Arithmetic founder, Mr. Loh Mun Sung, introduced the ALOHA programs to children in Malaysia in 1993, and had, in all its 25 years (and counting) helped millions of children ages 5-13 years old learn Mental Math and love it. 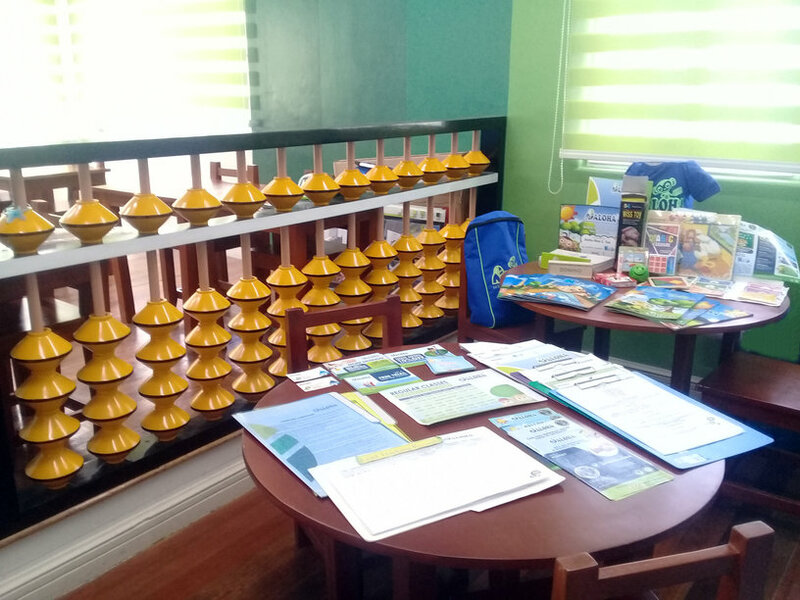 Here in the Philippines, proof on how successful this method is, is Bulacan-based, 8-year old Ricardo Alex Aimer T. Reyes (See that smiling young man on the left in the photo below? 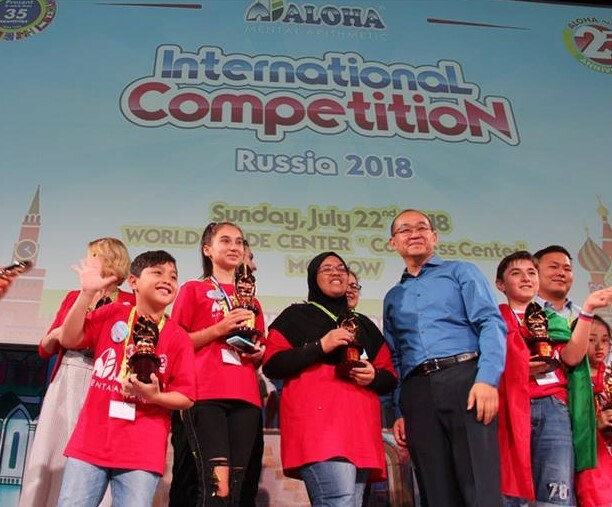 ), who placed third at the 2018 ALOHA Mental Arithmetic International Competition held at the World Trade Center in Moscow, Russia last July 22. Ricardo represented the Philippines in the annual International Arithmetic Competition and had brought so much pride to his hometown and to our country. 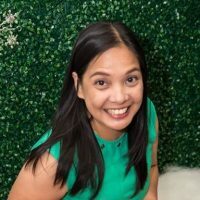 Based on a narrative posted by Philippine Ambassador to Russia, King Sorreta, on Facebook, there were around 600 children from countries all over the world, such as Bangladesh, China, Croatia, Ecuador, India, Ireland, Malaysia Mexico, Nepal, Panama, Philippines, Russia, Spain, Sweden, and Uzbekistan who competed in the said International Arithmetic Competition. And each child had been tasked to solve 70 Arithmetic items in 5 minutes. Whoa! We’ve been looking through videos of kids using the ALOHA Mental Arithmetic method, and we found it to be very exciting. I believe that learning happens when kids are having fun, and in one of the videos we’ve seen, they look really happy learning Math and solving problems. Doesn’t it look so much fun? I want my kids to have this much fun when they’re dealing with numbers and equations. Among so many subjects we take up in school, Math is one of those that we actually use in real life more often. I don’t want my kids to be rattled by Math, I want them to be confident with it. I definitely look forward to sharing Lukas’ experience and progress with ALOHA once he’s started on the program, but since his’ schedule is still next month, I think it’s best that I show you this Students Evolution chart on how the ALOHA program works. 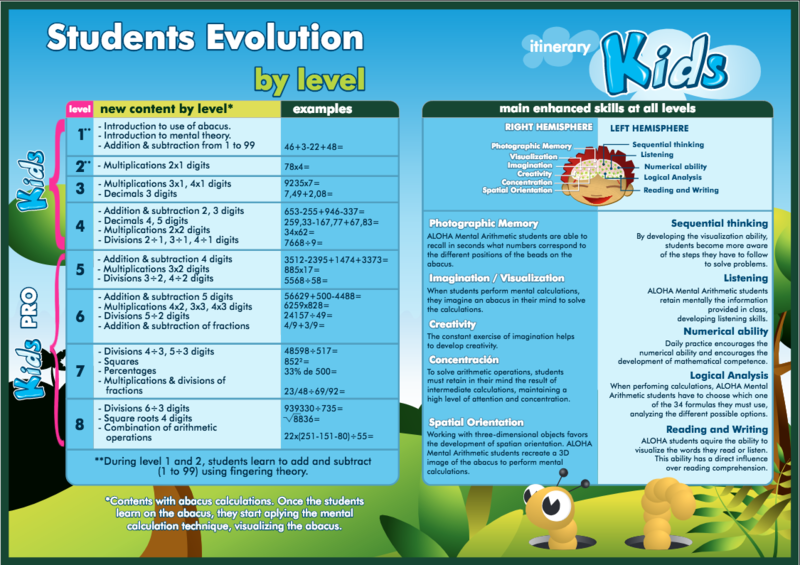 This chart is for the Kids program designed for kids 8 – 13 years of age. There is an upcoming program that is more suitable for those in the preschool age called Tiny Tots. The chart would be different from the one I’ve shown above. Anyway, as you can see in the left side of the chart, ALOHA Mental Math is designed to develop both the left and right hemispheres of the brain to produce a Math whiz, and I think this holistic approach will also benefit the child in other things besides Math. ALOHA Mental Arithmetic offers three programs that caters to two different age groups: The upcoming Kinder Tiny Tots program for 3 to 4 years old, Tiny Tots Program, which has 10 levels, is for children 5 to 7 years old, while the Kids program, which has 8 levels, is for 8 to 13 year olds. 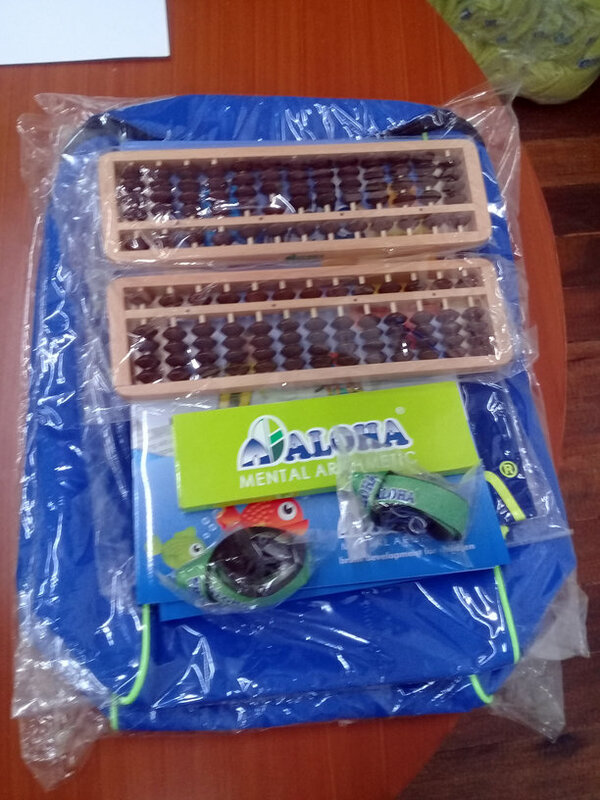 Each student will be provided an ALOHA Math kit to use. 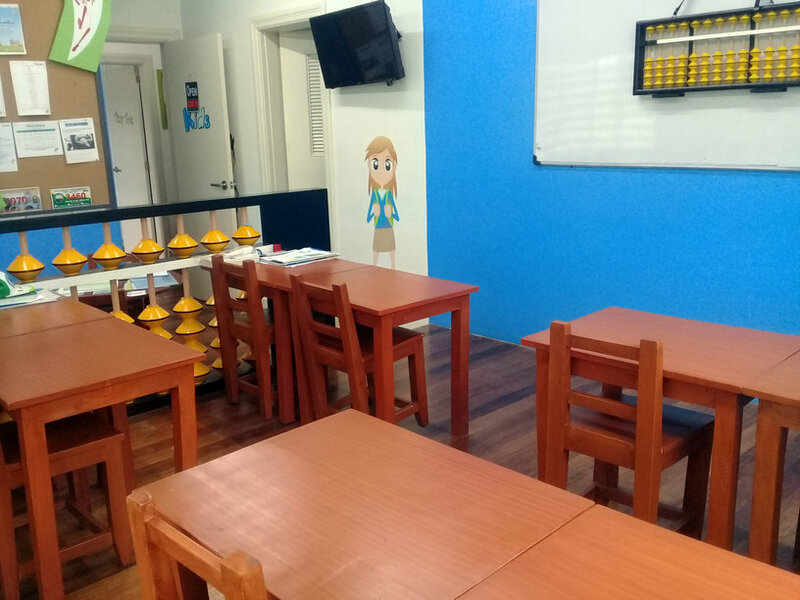 As of now, ALOHA Mental Arithmetic in Greenhills only offers the Kids Program and the Tiny Tots Program. Lukas will be joining the Kids Program. For Level 1, each session runs for one hour. Ideally, the child comes to the center twice a week for four months to learn and practice with their highly trained and competent coaches, then they work on some exercises for 5 to 10 minutes each day (It’s not a lot of time to spend, right?) at home. We’re so psyched about Lukas trying out their program and I’m eager to tell you more about them very soon. ALOHA Mental Arithmetic currently only has one center in Manila. It is located at 2/F Washington Gateway, 67 Washington St. Xavier Greenhills, San Juan City. To know more about them, you may visit their official website at www.alohaphilippines.com or you may check out their Facebook page at @ALOHAMAPH. You may also call them between 10 AM to 5 PM at 02-357-6800. I bought an abacus to use in my homeschool with my kiddos. My oldest is working on her mental math skills right now. She is getting pretty fast! I am terrible at math, but I hope my kiddos have an easier time! I’ve had a pretty similar experience with advanced math in school. ALOHA Mental Arithmetic sounds like they have a proven system that works to help teach kids arithmetic. In this way, math problems don’t have to be frustrating or feared but can be enjoyable to practice. Math is definitely a struggle to learn for most kids but this ALOHA mental arithmetic method you mentioned is a brilliant idea of how to encourage the kids to learn math in a fun and effective way. This is so interesting. I grew up on Saxon math. All the way through calculous. And I definitely can’t do that! I will have to look into the program and see if my son likes it. This is interesting. Of course I know what an abacus is and we actually have one here at home. But I had no idea that it can be used to teach so many concepts. Plus I love that it develops both the right and left side of the brain. Hope we get to try it too.